Wolfville, Nova Scotia will host eight provincial teams competing at Acadia University’s Raymond Field for the under-18 tackle football national championship, the Football Canada Cup, from July 8-14, 2017. The 2017 event marks the return of British Columbia which last competed in the tournament in 2011. BC joins a field of provincial teams from Alberta, Saskatchewan, Manitoba, Ontario, Quebec, New Brunswick, and host Nova Scotia. The Football Canada Cup is the premier pre-university football tournament in Canada which annually showcases the top under-18 football players from across the country. The event features three game days within a seven-day span culminating with the 12 and final game between two undefeated teams who battle for the title of national champion. Quebec opens the tournament as the two-time defending champions but will face a tough task of repeating in 2017. Quebec defeated Saskatchewan 25-8 in last year’s final, while 2014 gold medalist Ontario defeated Alberta 38-14 in the 2016 bronze medal game. In addition to representing their provinces, participating players do not just showcase their talent for junior, CÉGEP and university coaches from across Canada but the event also serves as an identification opportunity for the national team. Starting in 2013, the top-40 players from the Canada Cup have been invited to represent Canada in an annual series against USA Football. On January 28, the top 40 players from the 2016 Canada Cup will play for Canada’s U19 national team against the U.S. at the inaugural North American Championship in Orlando, while an additional 40 players from last year’s Canada Cup will represent Canada in the U18 game. The North American Championship continues the tradition between Canada and the U.S. that began at the International Bowl series in Texas. 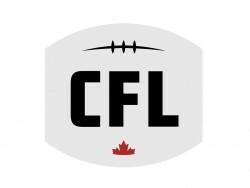 The Football Canada Cup was established in 1995 as an under-19 national tackle football championship with the addition of the under-17 championship, created in 2004. In accordance with the Long-Term Athlete Development Model and growth of football across the country, in 2010 the championship shifted its focus to a new under-18 age category to support the player development that is taking place within the provinces. The 2010 national under-18 event was the first time in the event’s history that seven provinces were represented at one time in one division.